We saw Banksy’s hateful poster that promotes division. 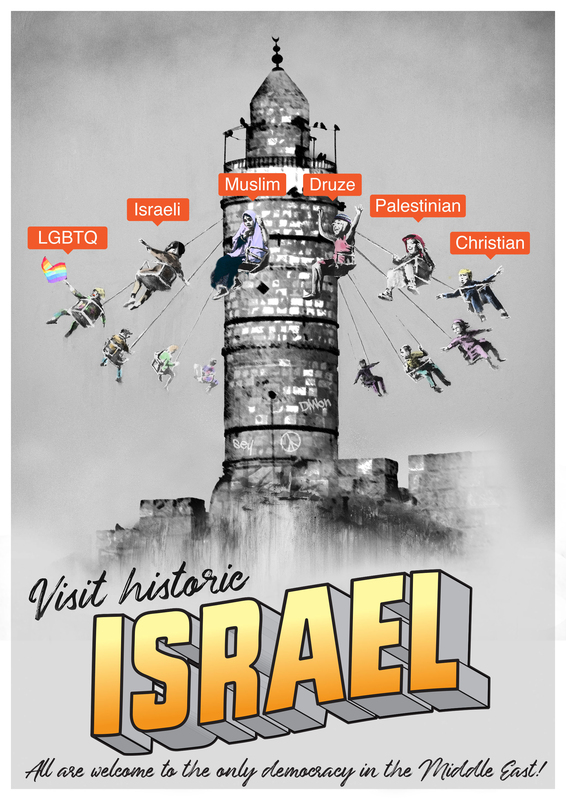 We are pro people (pro Israeli and pro Palestinian), but that poster was disgusting and didn’t promote anything positive and will not bring any good. We worked on this last night as a response; something positive, something hopeful, something that shows the diversity and reality. Now more than ever, we need to come together, and push positivity, dialogue, solutions, not hate and division which graphic propaganda and misinformation does not promote. That poster reminded me of what Hitler commissioned, it was def good at spreading hatred.. but, enough is enough. —- big thank you to all of you for sharing!